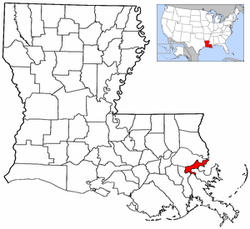 Nickname(s): "The Crescent City", "The Big Easy", "The City That Care Forgot", "Nawlins" and "NOLA" (acronym for New Orleans, LA). 05-28-2013 At the present time this address is a Vacant Lot 30' X 137' on a very quiet street in Algiers Point (New Orleans). Historic Neighborhood. Walking distance to Downtown New Orleans. Is this property up for sale? I'm trying to find out who owns this property. Is the property for sale, rent lease of any kind? Who currently owns the property at 4321 S. Claiborne Avenue, New Orleans? We are interested in purchasing the property. This location was originally the home of Joseph Batt - Night recorder/ Judge in New Orleans, LA. He died here in 1913.
history of 701 voisin st. Trying to find copy of legal description or deed for 1479 Granada Drive, New Orleans.